The National Disaster Management Office (NDMO) and the Malampa Provincial Government Council (MPGC) are working together to set up the Ambrym Disaster Coordination Center. A Disaster Coordination Center will enhance the preparedness and response efforts, says NDMO Disaster Operations Manager Peter Korisa. It will also allow authorities to coordinate relief distribution from Ambrym. When speaking to the Daily Post about this, Manager Korisa conveyed that some of the people residing in a danger zone near the volcano in southeast Ambrym are expected to be relocated. “We will provide assistance to them once they are relocated to safety,” he said. “This internal relocation applies to settlements within the 3km danger zone in southeast Ambrym, excluding north Ambrym. “North Ambrym is located further away from the danger zone therefore, people are considered safe”. The people from Paamal in southeast Ambrym as the most affected community have been relocated to Ulei School. 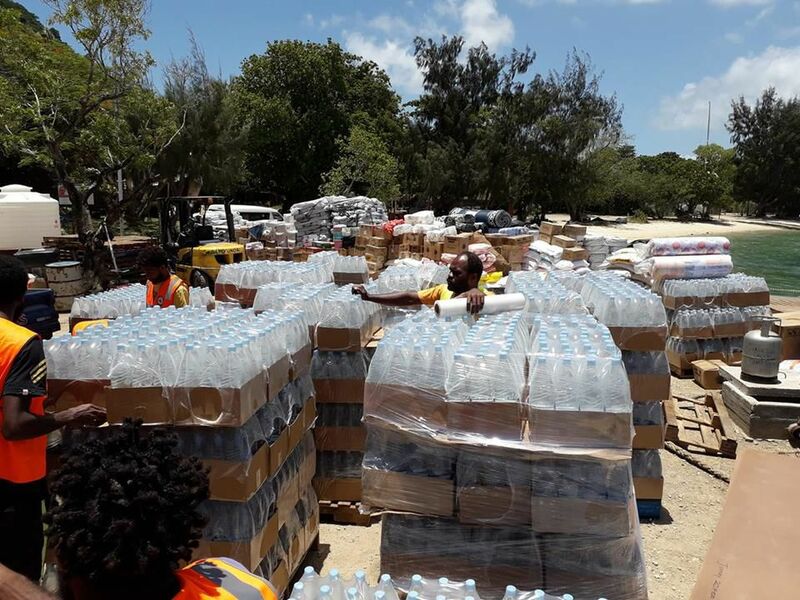 The government has distributed water and food for the displaced families but still needs to meet other needs for instance, health and building materials. The Vanuatu Red Cross has also responded with non-food items such as tarpaulins, shelter tool kits and water containers. These items were transported by MV Kaliara which departed Port Vila Tuesday this week. The government also provided water and facilitated transport.